That’s been the logic employed by tech stock bears who have thrown in the towel on short positions over the last year. And the buying volume that results from what’s commonly referred to as a “short squeeze” has been a crucial driver of tech gains during the period. 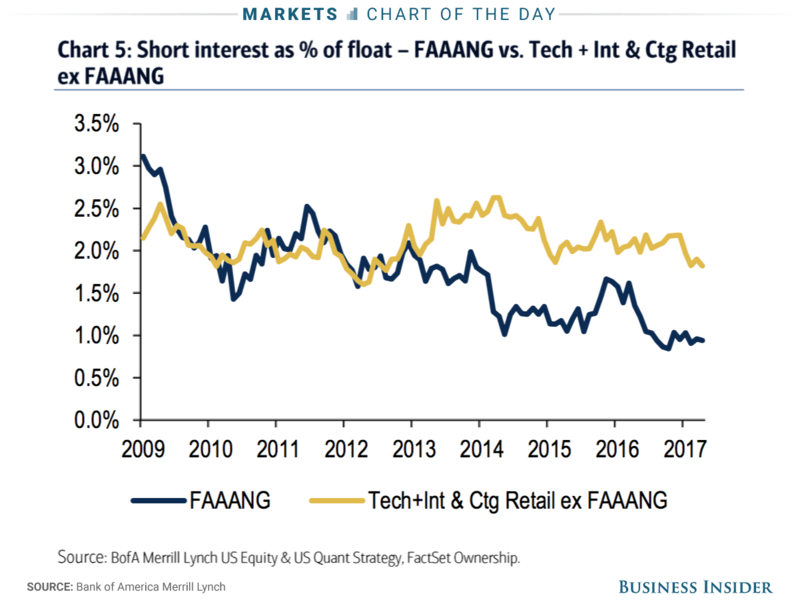 What’s more, active managers have actually slightly decreased exposure to the so-called FANG stocks (Facebook, Amazon, Netflix, Google) that have recently gotten the lion’s share of credit for stock gains not just in tech, but also the entire stock market.